Biogen has shifted its research focus toward neurological diseases such as Alzheimer’s. Timothy Sullivan worked recently at its Cambridge lab. 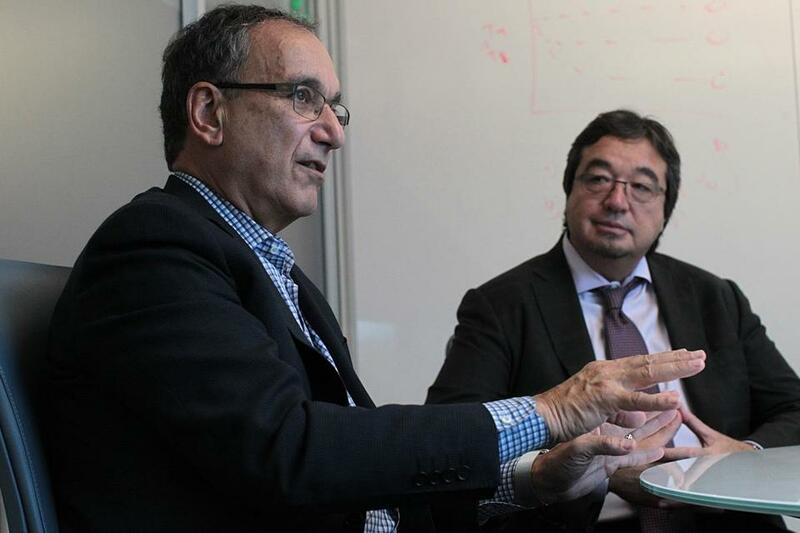 CAMBRIDGE — Biogen Inc. chief executive George A. Scangos is shaking up the company — again. Last month, Scangos dropped what employees are calling the “Biogen bombshell,” a plan to shed 880 jobs that is part of a larger strategy to accelerate work on therapies aimed at Alzheimer’s disease and other conditions that have long bedeviled biomedical researchers. The stakes are high — not only for the company, which even after the job cuts will have about 2,900 workers in Massachusetts, but for patients and investors. It will take years to determine whether the new treatments are successful and can offset slowing growth in sales of its multiple sclerosis drugs. 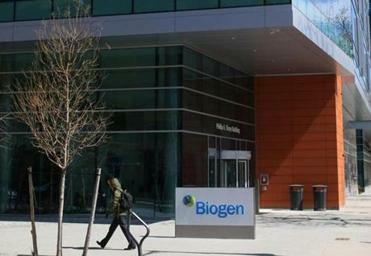 Biogen to cut 400 jobs in Mass. The state’s most valuable publicly traded company will also terminate a number of its drug research programs this year. Scangos, 67, a former scientist who taught biology at Johns Hopkins University before joining the industry, has done this before. Four months after taking over as Biogen’s chief executive in 2010, he cut 650 jobs, shut a San Diego lab, and pulled the plug on cancer and cardiovascular research. “The reason we’re restructuring is this amazing pipeline we have to fund. We’re making drugs that would be first in class in what they do, and that’s always risky,” said Biogen CEO George Scangos (left). The shakeup, which refocused the company on diseases affecting the brain, set the stage for five years of rapid growth that made it the world leader in MS drugs and the state’s biggest company by market value. That expansion hit some unanticipated speed bumps this summer. Biogen executives watched $20 billion in market value evaporate on July 24 after they posted a disappointing quarterly financial report and slower sales growth for a key MS therapy. Investors were also rattled by mixed clinical results for a highly anticipated experimental Alzheimer’s treatment. Biogen’s response, including its move to pare 11 percent of its 8,000-person workforce, seemed intended to quiet Wall Street concern the company could be slipping amid speculation it might be takeover prey. Those rumors also surfaced five years ago when activist investor Carl C. Icahn accumulated nearly 6 percent of its shares and agitated to remove Scangos’s predecessor, James C. Mullen. Scangos is aware that a similar scenario could unfold now if Biogen’s shares drop — they closed Tuesday at $293.38, down 39 percent from their high of $480.18 in March — but he said he doesn’t fret about it. Just as Icahn cashed out when Biogen’s shares surged on the strength of Biogen’s first MS pill, Tecfidera, freeing Scangos to run Biogen as an independent company, he believes new breakthrough medicines will keep the company strong. Biogen’s priority research programs are ambitious and expensive, with some projected to cost more than $1 billion apiece. Last year the company earned a profit of $2.9 billion. One drug candidate might slow the cognitive decline in Alzheimer’s patients and another might reverse rather than just treat MS, therapies for which no company has yet won approval. Others target neurodegenerative diseases such as a Parkinson’s and amyotrophic lateral sclerosis, also known as Lou Gehrig’s disease, conditions for which there are few effective treatments. To help bankroll these programs, Biogen discontinued research in fields such as immunology and fibrosis. Earlier, the company revealed the departure of some high-ranking executives, including research chief Douglas Williams and Tony Kingsley, a commercial operations executive, though it wasn’t clear if those moves were part of the shifting focus. At a daylong presentation to stock analysts last week at its Kendall Square headquarters, Biogen executives outlined their research and development strategy and reviewed the drug candidates in their pipeline. They include a portfolio of three compounds to treat Alzheimer’s, a disease that affects more than 5 million Americans — more than 12 times the number afflicted with MS — and is devastating to families, the health care system, and the US economy. Biogen’s lead candidate is aducanumab, an experimental drug that lifted hopes by reducing the buildup of amyloid plaque in the brain of a small number of Alzheimer’s patients in an early-stage study reported in March but also caused potentially worrisome side effects. The company is preparing for a late-stage study involving a larger patient population. The company is also working in the field of remyelination, considered the Holy Grail of MS research, which seeks to repair nerve damage causing by the neurodegenerative disease. A drug candidate called anti-LINGO-1, met its goal of boosting nerve functions in a Biogen study of patients with an eye disease that also damages tissue. The company is hoping that therapy can also reverse nerve damage in MS patients, although that has yet to be proven. Other biopharma companies are also working on Alzheimer’s treatments. 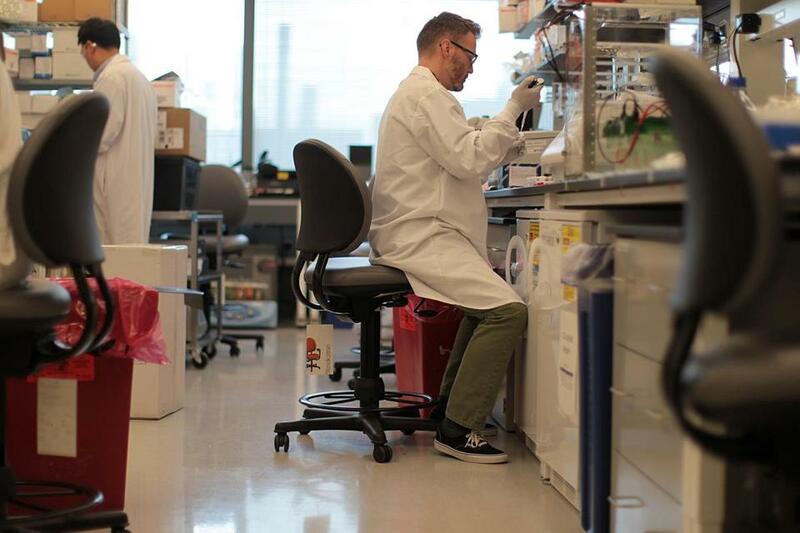 Among them are Merck & Co., Roche AG, and Eli Lilly and Co.
At least one other experimental treatment, for spinal muscular atrophy, could be on the market sooner. But with revenue growth from the company’s bread-and-butter MS drugs projected to slow, market watchers think Biogen may need to make one or more acquisitions to round out its drug pipeline over the next few years. 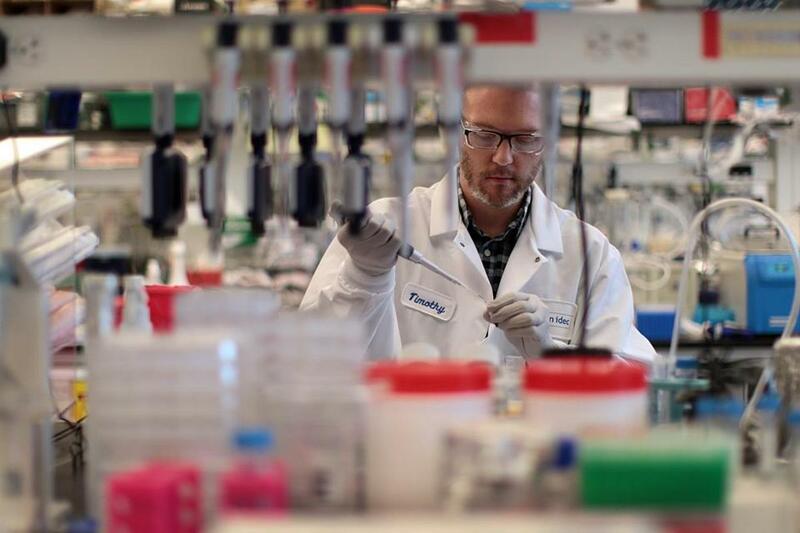 Investors relying on Biogen’s research will have to show patience. While the company will report some data offering clues to its drug candidates’ prospects, major “catalysts” — a Wall Street term for stock-moving events, such as applications to regulatory agencies — are years away. Biogen researchers are working on treatments for such neurological disorders as Alzheimer’s and Parkinson’s diseases, as well as advancing its signature treatments for multiple sclerosis.